​​New ideas rapidly take shape when people have the opportunity to brainstorm and learn from each other in a collaborative atmosphere. 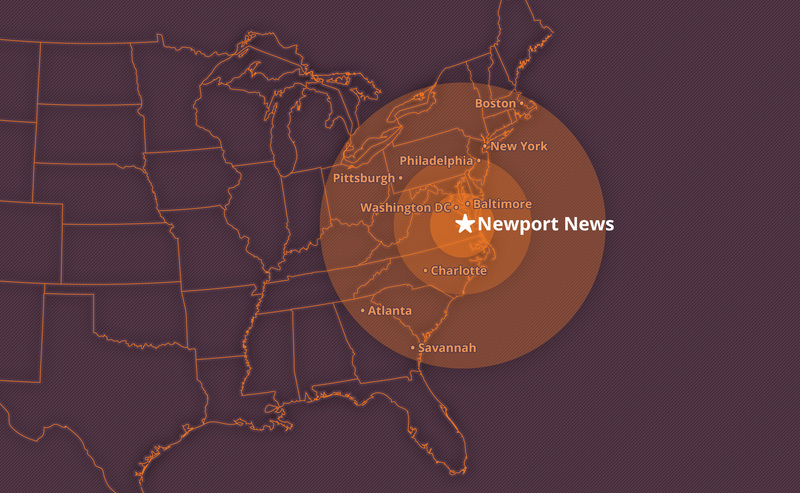 This is what you'll find at the Tech Center Research Park in Newport News, Virginia, with its world-class facilities and live-play-innovate environment. TECH CENTER is adjacent to world-famous Jefferson Lab and minutes from NASA’s Langley Research Center. It is a partnership between W. M. Jordan Development Company, Virginia Tech Corporate Research Center, retail developer S. J. Collins Enterprises, residential apartment developer Venture Realty and the City of Newport News. The current development includes 285,000 SF of retail and restaurants, over 288 high-tech, luxury apartment homes and at completion there will be nearly 1 million square feet of research and office space. The 11 planned research buildings will be home to labs, private offices and coworking space with room for individual company expansion. The typical floor plate is 26,000 square feet and flexible leasing options are available. Tenants can enjoy research-grade internet speeds and access to videoconferencing and conference rooms, plus access to the VT KnowledgeWorks, a highly successful business acceleration program pioneered at the award-winning Virginia Tech Corporate Research Center in Blacksburg, Virginia. Tech Center Research Park offers community living and working re-imagined. With 21st-century inspiration behind it, this is a place for fresh, new thinking and innovative ideas that will provide local, national and global benefits for our age and beyond.